For the past year I have been trying to take care of my skin at home with just home remedies that I know of. I didn't visit a Salon for a facial or a clean up as a result of which my skin had looked pale and felt rough. I am sure when I applied make- up you couldn't tell that except that I needed to use a bronzer to give it some glow. But when I felt it while cleanzing it surely needed some repair therapy. 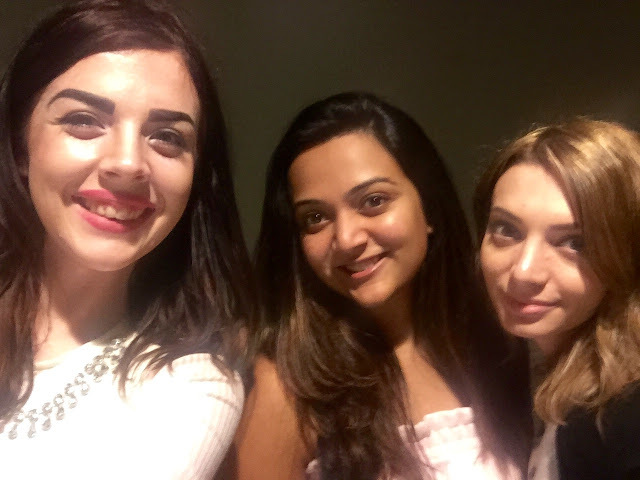 I met Mala the Owner/ Esthetician of Blossom Beauty Salon at a social gathering. I did share my skin problems with her and mocked at my skin saying it could be a result of turning 30. 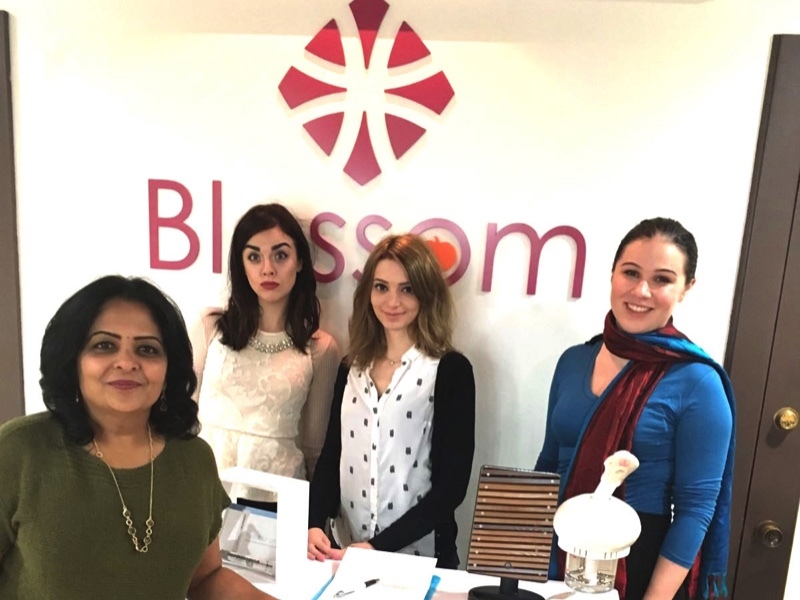 But to my surprise she said that wasn't the case and suggested I should come to her Blossom beauty Salon and get a complimentary Blossom Beauty Skin Care Consultation. So as planned I did visit her beautiful salon the next day. It had been so long since I visited this place it looked new and I later realized that they had remodeled it. It's got the perfect ambience where you feel instantly relaxed. Her Skin expert team Kayla and Lydia took me over to the skin bar and started the COMPLIMENTARY Blossom Beauty Skin Care Consultation. This involved answering a few questions regarding my lifestyle and skin care regime. 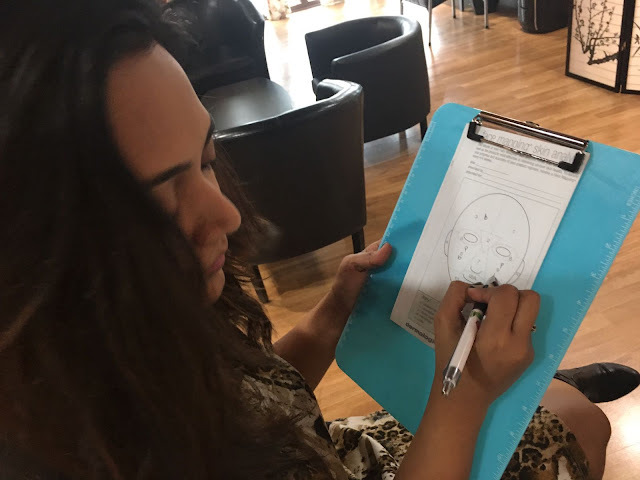 It also included a face mapping technique where I had to write down all my problem areas which were specific to active acne, acne scars, pigmentation, dark circles, dark patches, white heads, skin type and so on. After this consultation Kayla explained that I have an oily skin type with T-zone being the most sensitive area. Kayla then recommended what products can be helpful and what I should change in my regime. 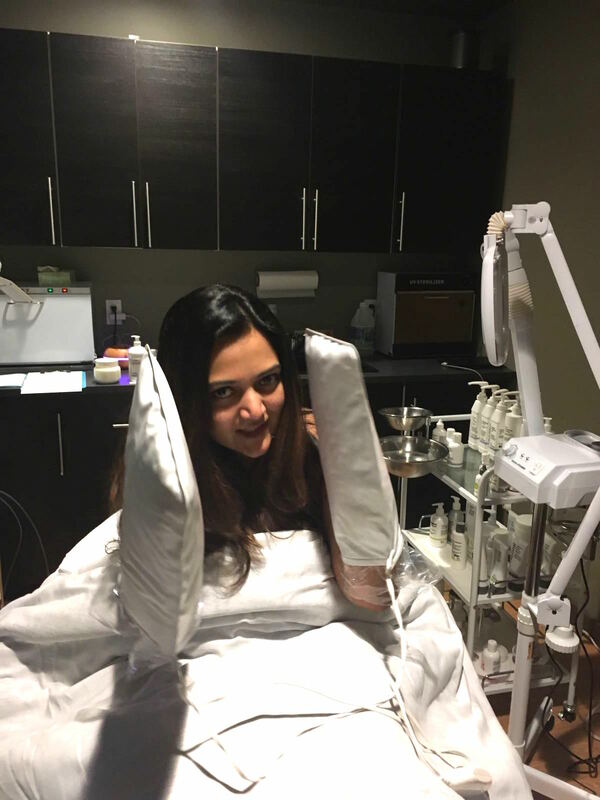 Kayla recommended at least three treatments, once per month of the Signature Hydro-Microdermabrasion, and that would help to clear up my skin. I am someone who rarely does facials and my knowledge of skin care is very limited. 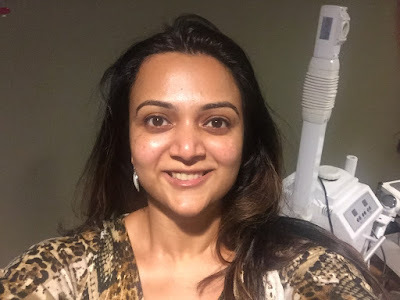 I have heard and read about the benefits of Microdermabrasion, but never thought of getting it done as I thought it might be an expensive affair or might not suit my skin type. I have extremely sensitive skin and generally prefer to stick to my usual regime and never try anything new. I was so wrong!!! Still hesitant, I continued to ask Kayla more questions about the process. 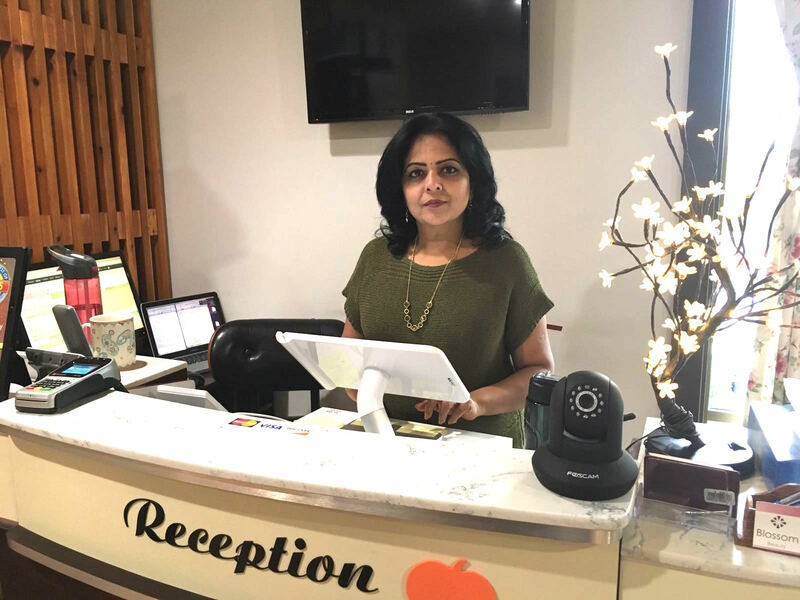 Mala then explained to me that she has a sensitive skin too and she uses Microdermabrasion once a month and it has done wonders to her skin, which I could see and tell it has. At Blossom they use Hydro Microdermabrasion, which is a lightly abrasive vacuum-like suction machine, slightly similar to a diamond end, which gently feels like sand on the skin. This helps to remove the uneven outer layer of skin, which is often referred to as dead skin. 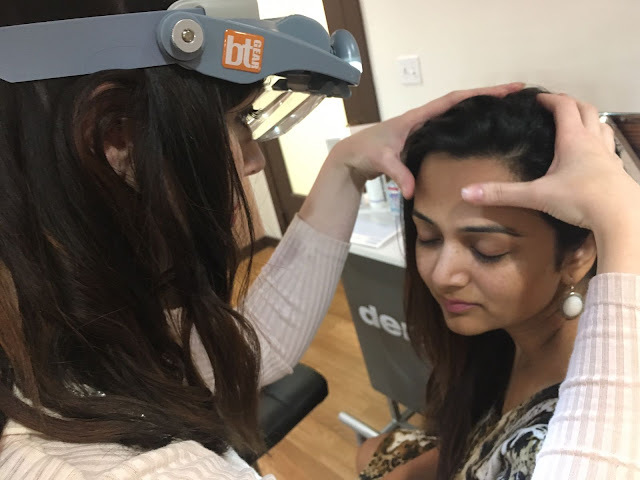 This can reveal brighter, smoother, more even skin! 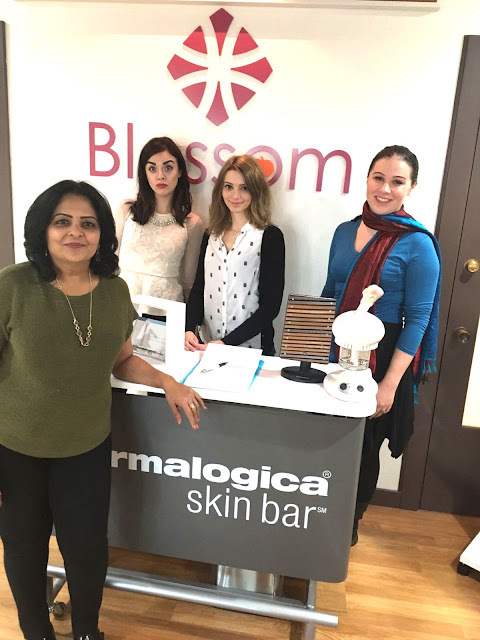 I must admit I asked too many questions and both the skin experts answered all of them patiently with a smile, I really appreciated such good customer service etiquette's that Blossom Beauty is known for. I spent an hour and five minutes inside the clean, hygienic facial room and got my first Signature Hydro-Microdermabrasion done. Contradicting to the long and scary the name of the process, it was actually quit a simple and PAIN-FREE process. It felt just like an itch for the first few seconds and after that my skin got used to it. A small tool, like an oversized pen, was moving around my face, vacuuming out all the debris and dead skin on my face. After that she gave me a shoulder massage and I almost dozed off in the bed- it was that good! Finally when I came out of the room, my face felt lighter. I mean it was as if my face lost some weight and literally felt lighter. I was so happy. I did insta share on video right at the moment. It’s been a week since I did it and ever since my skin feels smoother and toned. I mean I don't feel any unevenness at all. I am so looking forward to the second sitting next month.. 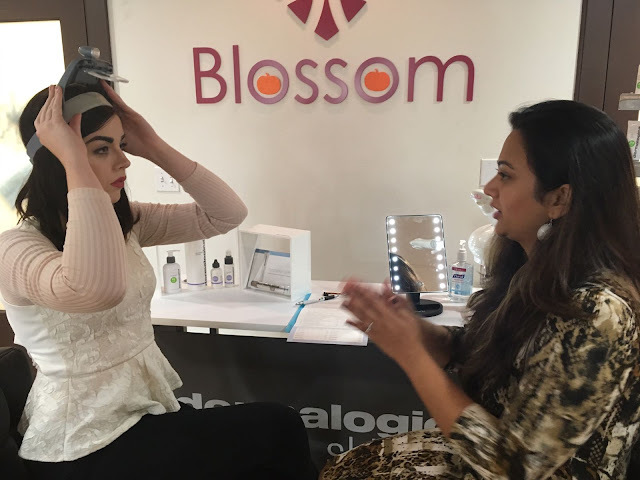 The best part is Blossom Beauty Salon is giving away a great holiday offer. 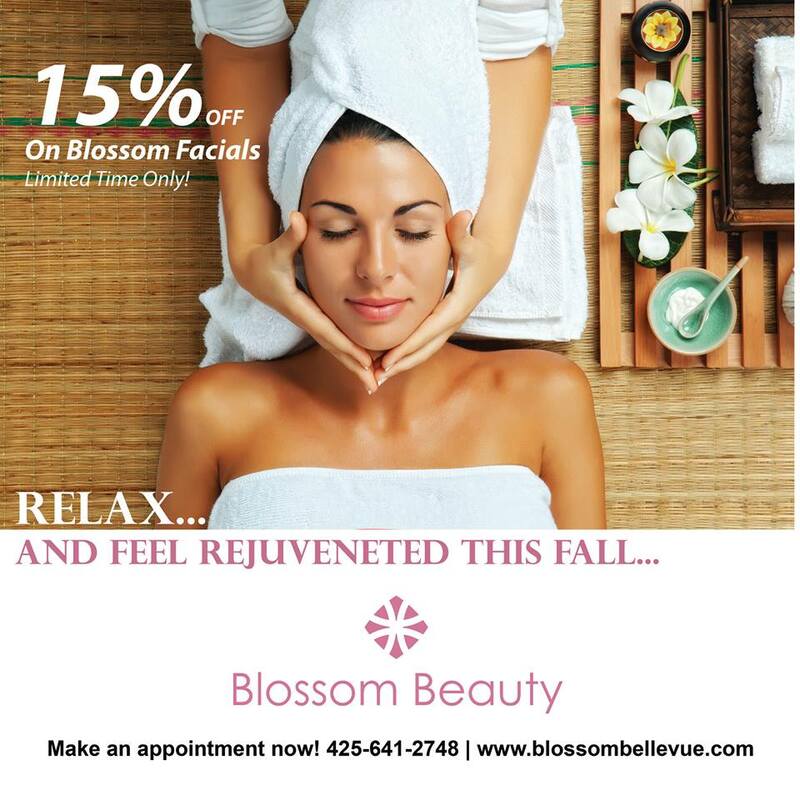 All facials are 15%OFF and 10%OFF on all Dermalogica Products. Come available this offer, lasts until Dec 31st.